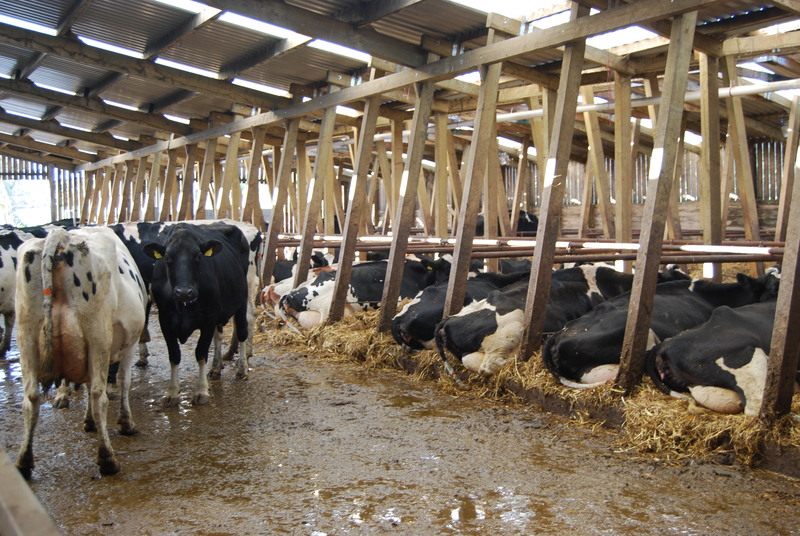 We never thought that introducing ‘out of parlour feeders’ to a large herd of cows would be so difficult! One third of the 400 odd learnt relatively quickly, the younger heifers and cows more so. 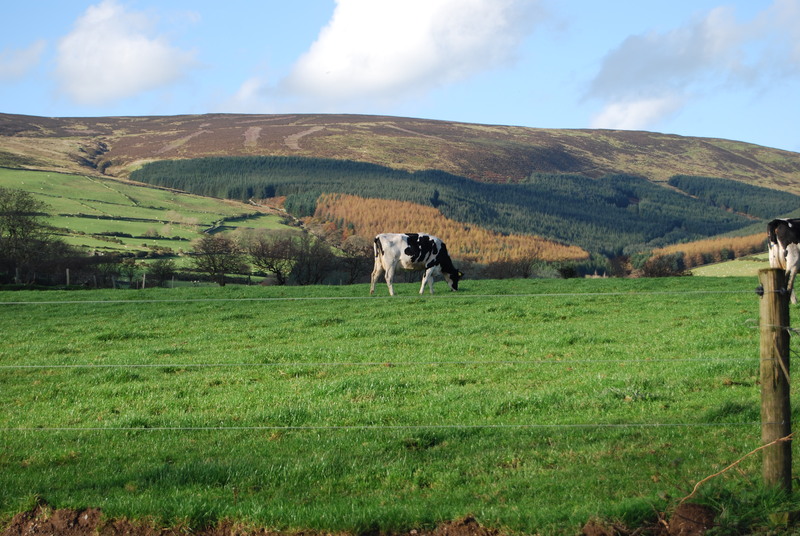 The older cows – well…. They have done their up most to avoid going in, talk about old dogs not learning new tricks, cows are much worse! We have spent a couple of hours each morning this week with a list of non feeders, parted out from morning milking, putting in gates to divert them in one by one. All the Swedish Reds learnt by themselves, except one, who took on characteristics of a race horse to avoid going in! Eventually we succeeded… We have had to retag several animals that had the transponders placed too close to their heads and with 17 feeders that the computer has to look after, the delivering of feed can be on the slow side. 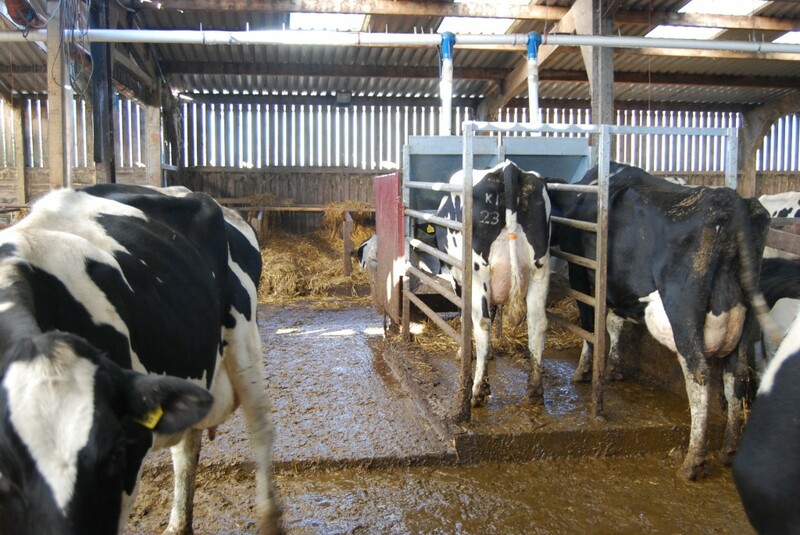 Many cows now have learnt to wait and play with the roll bars within the feeder until the food is delivered. 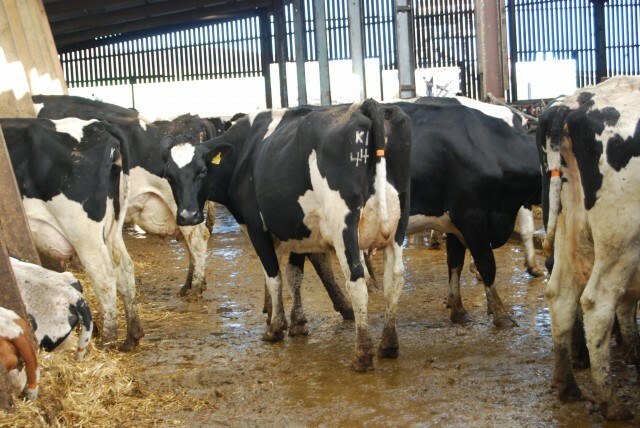 There is now a marked difference in the condition and milk yield of the cows that have learnt the system! Just a few more sessions and I think we may have cracked it! We have now stopped putting cake in the parlour bin. This is now rolled oats, cereals being used as we no longer have the feed wagon in use. The side effect of this is now cows are reluctant to go on the parlour. We think the lack of noise of the cake dropping and the sheer sated condition of the cows now that they have bales of silage all day and night, might be something to do with it! Perhaps we ought to record the sound of cake dropping to get them excited??! Last of the dry cows out…. The cows love these home made cubicles!